The tranquil charm of the soft rolling hills of the ArakanYoma range on the eastern horizon adds to the beauty of CherioPurbat Tea Estate. 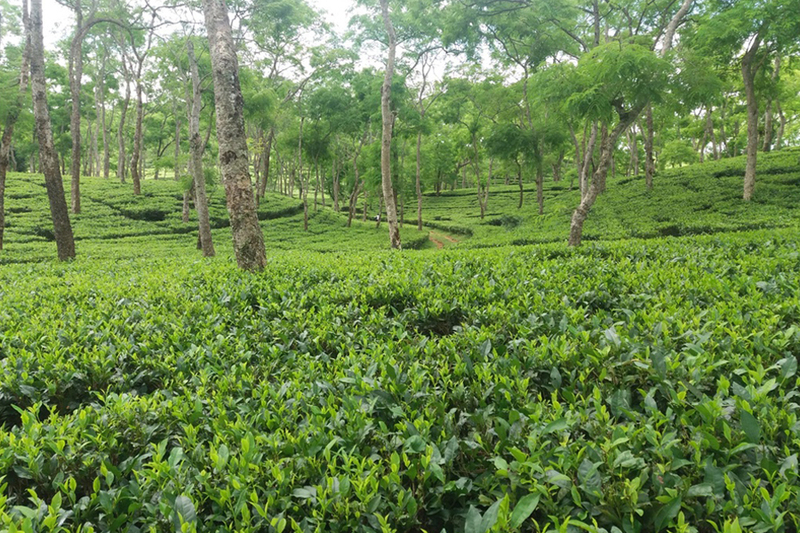 Spread Situated in the heart of the ancient Capital city of the Ahom Dynasty the garden is nourished by streams that quietly meander through the expanse,enriching the soil and the tea bushes that produce the strong, full-bodied teas. When the estate was taken-over in 2015 we pledged to conserve the water bodies and the environment to enhance the micro climate of the region. In keeping with our organic and bio dynamic system of farming, the garden produces environmentally conscious teas. The brisk,malty and refreshing Cherideo-Purbat teas bring cheer to many a morning cups.